The Virginia Department of Agriculture and Consumer Services (VDACS) administers a variety of Virginia laws and regulations that protect consumers and businesses. The Division of Consumer Protection is comprised of the Offices of Charitable and Regulatory Programs, Pesticide Services, Plant Industry Services and Weights and Measures. In the Division of Animal and Food Industry Services, the Office of Dairy and Foods administers laws and regulations designed to ensure the safety, wholesomeness and proper labeling of foods in Virginia. Promotes the integrity of charitable gaming activities in the Commonwealth. Administers the Virginia Solicitation of Contributions Law. Administers the Virginia Credit Services Businesses Act. Administers Virginia laws and regulations designed to ensure the safety, wholesomeness and proper labeling of foods. Administers the Virginia Extended Service Contract Act. Administers the Fantasy Contests Act in the Commonwealth. Manages distribution of USDA donated foods and funds to entities throughout Virginia. Know how to avoid the spread of bacteria when you're buying, preparing and storing food. Administers the Home Service Contract Providers Act in the Commonwealth. Administers the Virginia Health Club Act. Administers meat and poultry inspection laws and regulations designed to ensure the safety, wholesomeness and proper labeling of foods. Administers the Virginia Membership Camping Act. Certifies applicators, registers products and licenses pesticide businesses for the safe and effective control of pests. Administers the Virginia Prepaid Legal Services Plan Act. 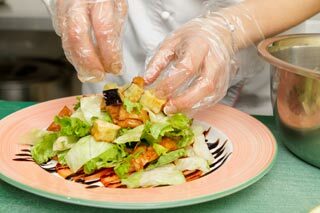 Inspects covered produce under the FDA Produce Safety Rule and state legislation. Ensures Virginians have a constant, available and reasonably priced supply of milk. Transporters of waste kitchen grease are required to register with VDACS. Administers the Virginia Travel Club Act. Administers consumer and environmental protection laws and regulations that maintain the integrity of transactions.